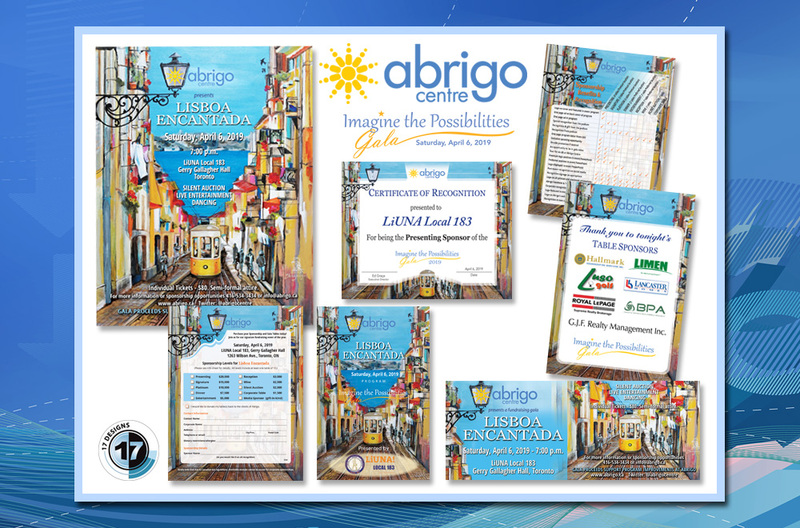 17 Designs designed all the marketing collaterals for the Abrigo Centre Fundraising Gala “Lisboa Encantada. The bundle includes: Poster, advertisements in various sizes, registration/benefits forms, event program, sponsorship certificates, event sponsor signs and the original painting entitled “Lisboa Encantada” by our Creative Director, Stella Jurgen. This painting will be auctioned for the fundraiser at the event. To see other projects designed by 17 Designs please visit our Graphic Design Posters.